I started going to the gym 3 years ago, when I started I had no idea what I was doing and so I didn’t see the results I wanted for a long time! I spent my first 1-2 years of going to the gym doing exercises wrong and doing the wrong exercises! It took me years to develop an effective gym routine and work out which exercises work best. Once I regularly started training, knowing what I was doing I saw results much quicker! My aim was to create a guide including everything I wish I knew when I started going to the gym! I am hoping that with this guide I can help you guys achieve you goals quicker! I did a lot of cardio based sport throughout school and college including athletics. This lead to me being thinner. I stopped doing sport and did little to no physical activity during my first year in university. Due to my unhealthy diet and lack of physical activity (and a fair amount of alcohol) I gained weight around my stomach and other arears which I didn’t like. I have included a lot of transformation photos so you can see my progress on different arears of my body. 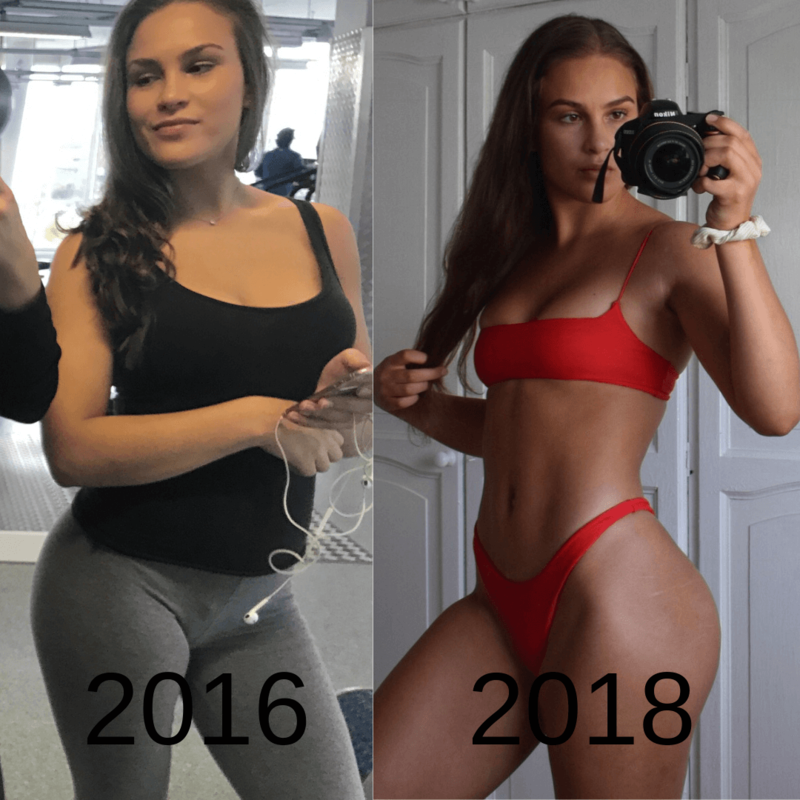 I was always sceptical of how much you can actually change your body but I hope I hope that my transformation shows you that with a good workout routine and some determination everyone can change their figure! Even though there are certainly still things I would like to change about my body I am much more confident in the way I look.